We’re a Des Moines auto body shop that specializes in minor accidents. We pride ourselves in quality work, efficient service, and building great relationships with our customers. Simply put, you are our number one priority — and our warranty proves it. Our trained technicians will make sure you’re happy with our work once it’s complete. 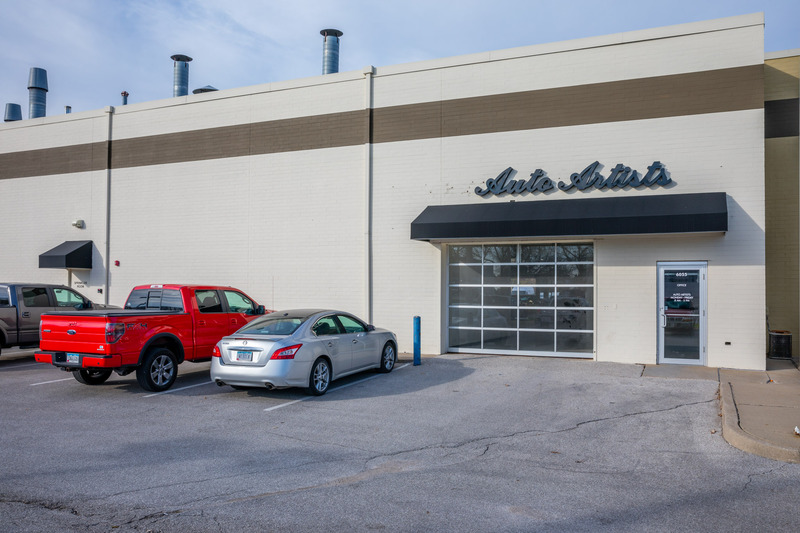 So go ahead, bring your car in for a free inspection and estimate, and a one-of-a-kind auto body repair experience. If you’ve been in a minor accident, call your insurance company — and then call us! Protect your vehicle from daily mishaps like scratches, chips, and tree sap stains with clear bra. The film is used on potentially damageable regions of your vehicle like the front bumper, side mirrors, and door edges. Dents can happen when you least expect them. Like when it starts hailing during a grocery run, or when a deer appears out of nowhere. Whatever happens, Auto Artists can repair your vehicle in no time. Scratches and scuffs may seem small, but they deserve the same attention and focus that we put on bigger projects. 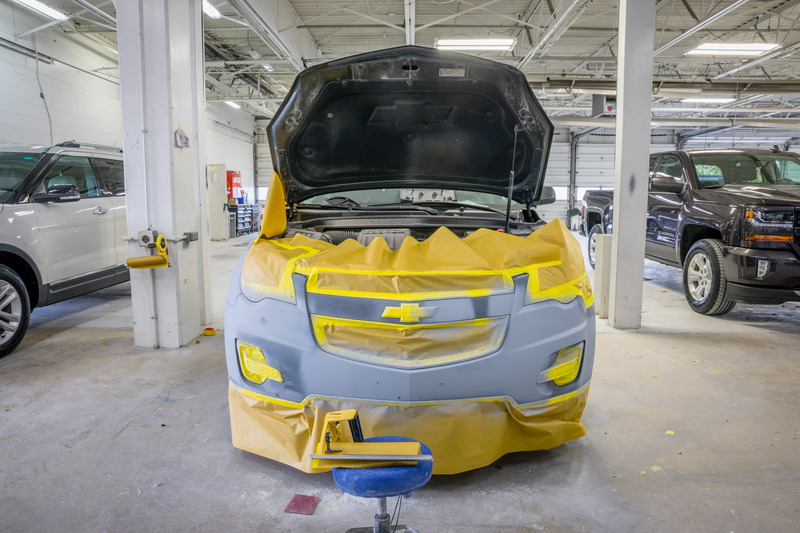 That attention to detail comes in the form of careful color selection to exactly match the rest of your vehicle. It’s tough to avoid scratches and scrapes on your rims, because that would mean avoiding all potholes, curbs, and debris — which is almost impossible! So when the inevitable happens, you know who to call. 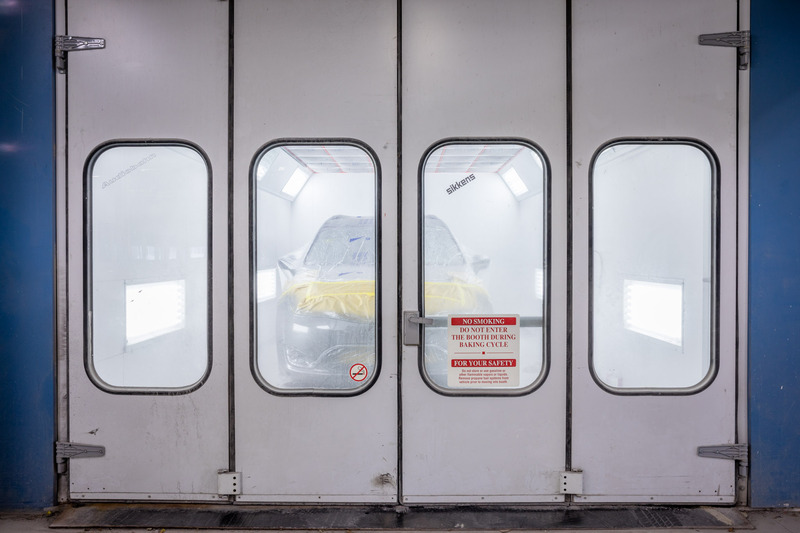 We’ll make your collision repair experience a good one, getting your vehicle back to pristine condition within a day or two. Another perk? 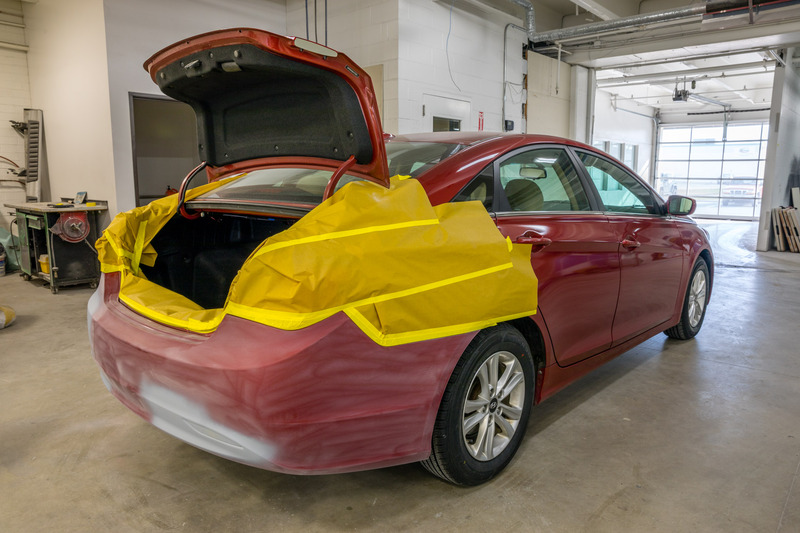 You’ll pay a fraction of the cost compared to other area body shops.